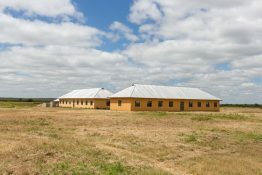 The primary school in Emboreet is a boarding school for the far-off children: ECLAT has refurbished the dormitories and refectory here so that the children can be adequately accommodated. 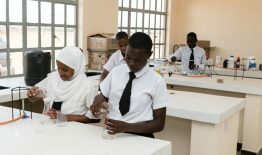 Thanks to the support of the Welfare and Education Foundation, three natural science laboratories for biology, chemistry and physics have already been built this year. 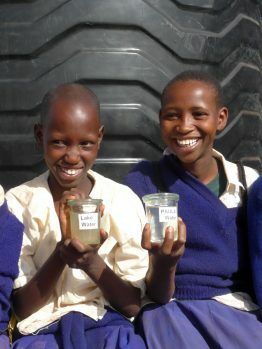 In 2016, upendo was able to install a water filtration system in Sukuro through a special donation with a PAULA container. 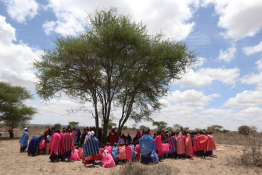 The work of ECLAT to empower women in the Maasai community is of fundamental importance to the culture of this ethnic group. 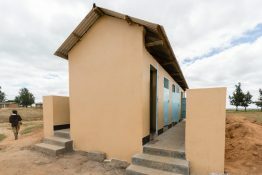 In 2016, three toilet facilities were built on the campus: one for girls ‘dormitories, one for boys’ dormitories, and one for classrooms, cafeterias and science laboratories. 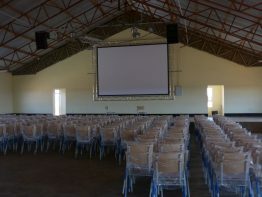 Also in Tanzania you will need a loudspeaker, a beamer and film projector for small and large events at a school. 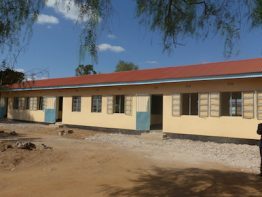 The graduation ceremony for the graduates of the secondary school in Emboreet took place on 20 October 2016 in the finished cafeteria, which will also serve as a multi-purpose hall in the coming years. 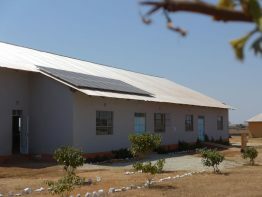 To power the school, we had solar panels installed on the roof of the refectory in 2016. 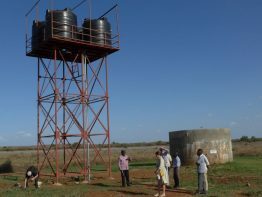 The water tank built in 2014 stands on the ground, so that the water pressure is not sufficient to distribute the water on the school grounds and to pipe it into the buildings. In 2016, therefore, we had built an 8 m high steel skeleton as a water tower next to the floor tank. 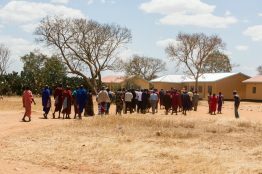 In 2016, we were able to build a new dormitory there so that the boys now live on the school grounds and can no longer stay in the city so easily and skip class. 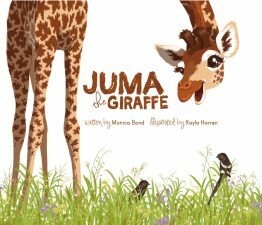 In the areas adjacent to the national parks, PAMS wants to educate its inhabitants about environmental and conservation issues, but above all about the purpose of the national parks and the protection of wild animals that do not know the park boundaries. 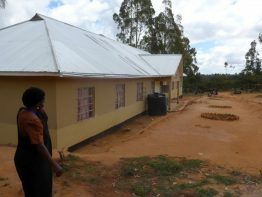 In a first renovation phase in 2016, we decided to rebuild these classrooms: cracks were plastered, walls reinforced, the leaky roof repaired, windows and doors repaired, the floors repaired, and so on. 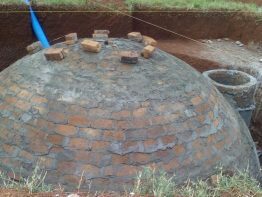 We decided to build new toilets for the primary school: one for the girls and one for the boys. Without a vehicle of its own, ECLAT can no longer fulfill the tasks involved. 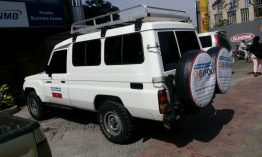 In 2016, we bought a new off-road vehicle for ECLAT, a Toyota Landcruiser. 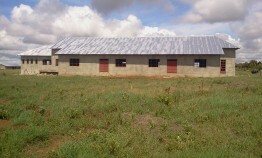 As part of the graduation ceremony for this year’s school leavers on November 13, 2015, the dormitories for boys built by ECLAT / upendo in 2015 were officially handed over to the government as the school’s operator. 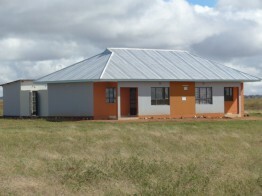 We have already started the construction of a double residential house for teachers at the beginning of 2015, so that at least some of the teachers are constantly present on the school grounds.